Bhai Budhsinghwala was born at Budhsinghwala village in Faridkot district in 1967. The name of his father was Bhai Nachhatar Singh. His mother was Bibi Surjit Kaur. He studied up to the third standard at the village school and dropped out. He started helping his parents in their agricultural operations on the family’s 10 acre farm. The family’s house was located on the outskirts of the village and gives us the look of a small farmer’s house. Although Bhai Budhsinghwala handled, as chief of K.L.F., crores of rupees, the condition of his house-hold showed that he was no cut out to perform a traditional Akali politician’s role. He was above worldly allurements. His dedication to the cause of Khalistan was complete and total. Bhai Budhsinghwala’s childhood, according to his brother Jagrup Singh, was marked by his commitment to work at his family’s farm. He would also take part in social and religious activities at the local Sikh gurdwara. His first contact with the Indian state came in April 1984 when Bhai Budhsinghwala lost the brother of his grandfather, Bhai Karnail Singh, in a police firing at Bibi Kahn Gurdwara at Moga. Bhai Budhsinghwala loved Bhai Karnail Singh and the death came as a shock that he would continue gazing at the clothes and other remains of Bhai Karnail Singh. Soon after the Moga incident, Bhai Budhsinghwala went to attend a bhog ceremony on the deaths of eight militants Sikh activists in a nearby village. He was picked up by the police along with 15 other young men. The police tortured Bhai Budhsinghwala and other young Sikhs, framed them in a case and sent them to jail for 2 years. After his release, the police raided Bhai Budhsinghwala’s house with a view to arrest him again. Away at the time he preferred to go underground rather than get tortured by the Indian police. He was hardly 20 at the time. Bhai Budhsinghwala never looked back. 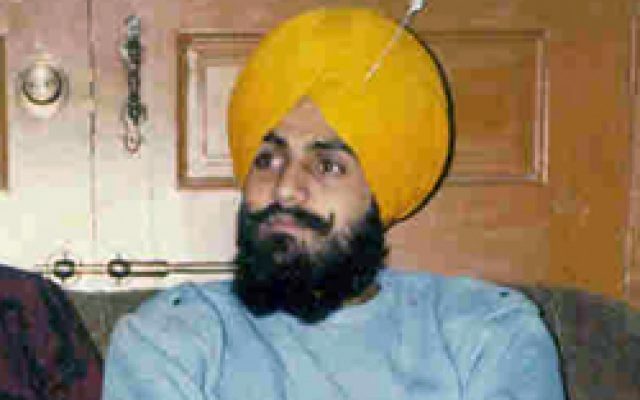 He rose to be the head of the Khalistan Liberation Force on the death of Bhai Avtar Singh Brahma. Bibi Surjit Kaur said that her son was a monument of serenity and sincerity. His traits subsequently made him popular among all militant groups. He supplied arms to most of the underground groups provided such supplies promoted the cause of Khalistan, according to pro-militant circles. Bhai Budhsinghwala was known by several names. Many called him “Navildar.” Some others addressed him as Jathedar while a few others named him Bhola. He spoke little as a matter of habit. He listened to others with respect. He was not after his personal glory. He worked in anonymity. Bhai Budhsinghwala, in short, had humility as one of his greatest traits. While Indian authorities held Bhai Budhsinghwala responsible for more than 1000 deaths and dubbed him as one of the most dangerous terrorists, Sikhs who came in contact with him respected and praised him as a gentleman who would not harm any innocent individual. Militants close to him considered him a politically sensitive and an action-oriented man who protested Punjab’s and Sikhs’ interests in several ways.